She might as well be known on a first-name-only basis from here on in. 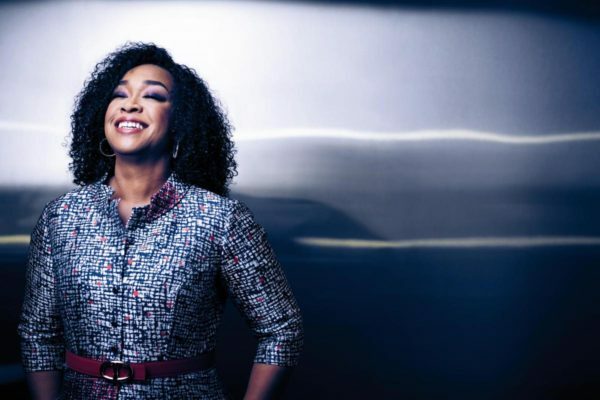 Shonda Rhimes is a TV mogul in her own right and she is expanding her empire, created through her Shondaland Production company with producing partner Betsy Beers, into the digital and multimedia world. When you think of entertainment moguls, it’s very rare to think of prominent women, especially prominent black women, other than Oprah Winfrey. So the news of Shonda Rhimes inking a new deal with Netflix should make everyone in Hollywood recognize the power of creating entertainment that is diverse, nuanced, and representative of people who have for too long been “otherized”. As The Hollywood Reporter detailed, she has signed a 4 year $100 million deal, giving the streaming service exclusive access to her talent. For comparison, her deal with ABC television was most recently worth $10 million a year, and she was at the network for 15 years total. We’re all familiar with her worldwide hit shows ‘Grey’s Anatomy’, ‘Scandal’, and ‘How To Get Away With Murder’, series with cult followings which earned both her and the network multiple awards over multiple years. The most impressive part about her shows were that they opened up a world of lead characters who didn’t look like the rest of what we were used to seeing on TV. They were black, Asian, Latino, female, gay and were not typically represented in prime TV shows without some form of tokenization. Her shows allowed other major networks to follow suit, recognizing the power of representing the diverse audiences watching TV. When ‘Scandal’ debuted in 2012, it became the first show with an African-American female lead since ‘Get Christie Love!’ went off the air in 1975. Can you name another TV mogul who had her own night of week branded to her shows? 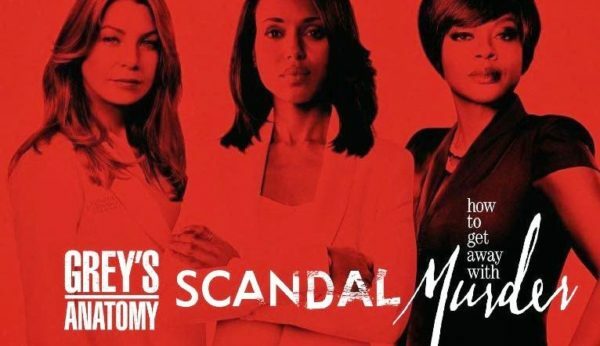 Thursday nights on ABC have been referred to as TGIT – “thank God it’s Thursday” with a full prime-time lineup of her aforementioned hit TV shows. But now that she has well and truly conquered this space, Shonda is now stretching her wings and her empire beyond broadcast. In a feature interview with Fast Company, the mogul talks about taking Shondaland content online with Shondaland.com, which will focus on empowerment content that is unapologetically female and inclusive. “I just want to find other ways to tell stories, other ways to be engaged with the world,” she told Nicole Laporte. 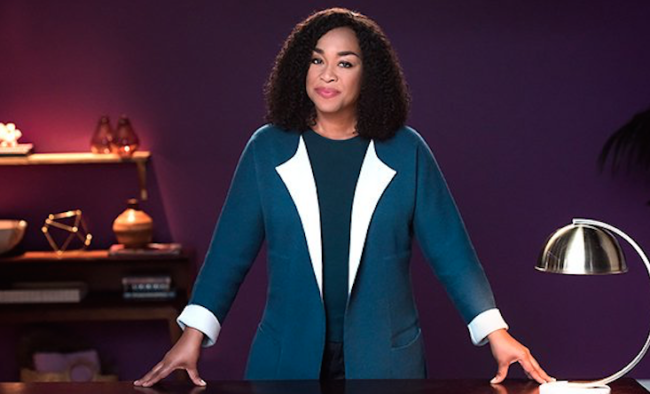 Shondaland.com will include a variety of content including podcasts, emails, videos, playlists, essays, interviews, and diaries to reflect the entirety of women’s lives—with the goal of building community and encouraging action, according to the interview. Let’s not forget she is already more than just an award-winning TV producer. She is also a New York Times Bestselling author with ‘The Year Of Yes’ published in 2015. Her recent partnership with Dove and the launch of their ‘Real Beauty Productions’ department of which she is creative director, sourcing and producing diverse women’s stories, is one example of how powerful her name recognition is. 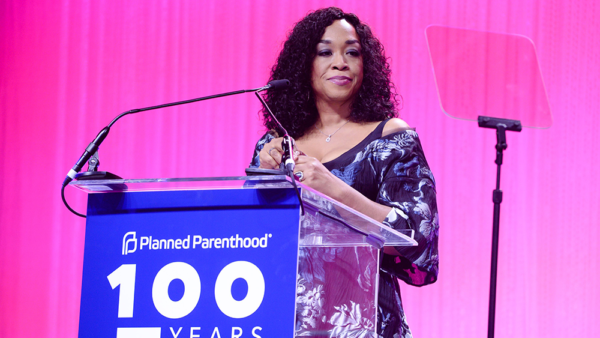 Shonda has also been working with Planned Parenthood on their advocacy as they seek to fight back against Republicans and the Trump Administration who are doggedly trying to “defund” the health clinic and take crucial healthcare services away from low-income women, especially women of color. Her shows, ‘Private Practice’ in particular, regularly tackled issues of abortion and women’s reproductive choices, making her a natural fit to align with Planned Parenthood. She gave a speech for the health organization in May which gave some eery ‘Handmaid’s Tale’-ish warnings about the hideous laws being passed to restrict a woman’s right to choose. “In 2017, women’s health needs protecting. Like some kind of endangered species. Like, holy crap, vaginas might go extinct,” she said. Shonda was also asked to produce the biographical documentary about former Democratic Presidential candidate Hillary Clinton, which played at the Democratic National Convention in 2016 before she formally accepted the nomination to be the first female major-party presidential candidate in U.S. history. She astutely recognizes her power to affect and change culture through media, and draws parallels with what Oprah did for her generation over the course of a couple of decades. “You could be a woman in Alabama who’s a conservative Christian, or you could be a total crunchy-granola woman in Seattle and 20 years old, and both of you would watch Oprah. Oprah would say, ‘Read this book,’ and everybody would, and they’d be talking about it. I don’t know if it’s possible to revive a role-model culture, but I like the idea of having a place to have conversations,” she said. 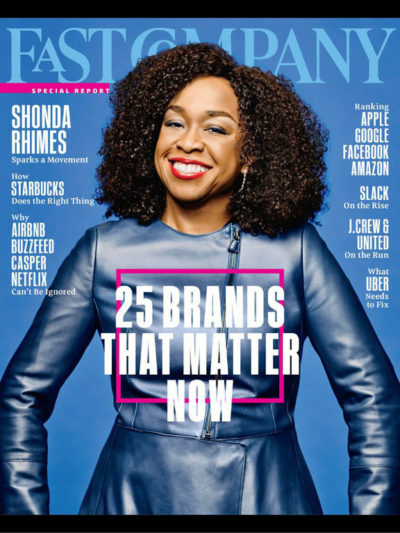 Fast Company’s Nicole Laporte calls Shonda a “master storyteller” who has given permission for “strong, inclusive, ultimately uplifting communities of women” to exist beyond just the fictional Shondaland world. Her deal with Netflix and her new online portal shows she is looking to tap into the younger generation market, who she recognizes are an important part of growing her brand. “There’s a whole group of women who became doctors because they watch ‘Grey’s Anatomy’. There’s a whole group of people who think of diversity very differently because they watch the shows. I feel like the Pied Piper, because there are 12-year-olds who are like, ‘Shonda!’ [I realized I] had an opportunity that we were wasting if we didn’t try to talk to them in other ways,” she said. The very first interview conducted for the website was with California Congresswoman Maxine Waters, who has become an iconic resistance figurehead herself among millennials especially. Shondaland.com will most definitely be a place to find progressive political content, especially from women of color. “The election happens and you realize that there’s a bigger problem out there. We’ve all been very comfortable. There are some things that need to be said out loud,” she said. One of the main narratives she wants to push back against by leveraging her media power, is that just because Trump won, everyone must pay attention to and pander to the “white working class” male and the discussion around his “economic anxiety”, as if that was what helped Trump win. “I’ve heard a lot of post-election talk that suggests that people think that we have left out a section of the country that is white and male. And the shows that have gotten picked up [by the networks] reflect that. To me, that feels like the most ridiculous scam that has ever been pulled on the networks. Ever. The idea that you believe that white men don’t have a voice is astounding to me. That’s what you got out of the election?” she said. If there is anyone who can be a representative of the #resistance and create media to tell intersectional and diverse stories, it is Shonda Rhimes. We’re certainly glad she is on our side and can’t wait to see what she brings to Netflix!